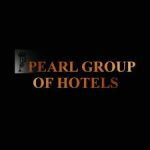 We are a BOI approved star class hotel and we invite capable and dynamic individuals to join our team and take the company even to greater heights. Executive housekeeper is in charge of overseeing and directing the cleaning activities of the hotel & the work schedules are prepared and planned m advance by the executive housekeeper, and he has to handle customer service and complaints as well. Cleaning materials and new items are also ordered by the executive housekeeper to ensure that their workers have the proper tools to perform their job duties and he has to be aware of the schedules of others in order to time the cleaning of rooms with other departments. The ideal candidate should possess minimum 5 year experience in the similar capacity, Should be young energetic with excellent interpersonal skills and a pleasing personality along with a good working attitude. Negotiable and in par with industry standards to commensurate with the experience and qualifications. Full Address No. 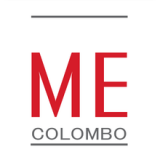 17, Bauddhaloka Mawatha, Colombo-04.